In 2002, Andrew Alper, the newly appointed president of the city’s Economic Development Corporation, appeared before the City Council to explain his strategy for making New York City more competitive. His words are testimony to the fact the New York City’s popularity is not simply a function of trends beyond the city’s control, like the millennial generation’s preference for denser living or the political instability of other countries, but something that can be shaped through urban policy and strategy. It’s a particularly important point in a time when housing vacancy rates are below three percent as of 2015, and we hear frequently from the mayor that the main driver for the affordability crisis is the city’s growing population and a lack of sufficient housing supply. Advocates have pointed out that the housing market is affected by much more than supply and demand on a local level, driven also by speculative investment. But if you accept that when you have more people, you do need more housing to keep prices affordable, there come other questions: In the long term, is it unquestionable that New York City should continue trying to attract new residents, particularly affluent and educated ones? And, since New York City’s thriving job market is what attracts such residents, should New York City continue to expand its economy? The data is clear: New York City is not just gaining more residents; the demographics of the newcomers have also changed. While in the 1980s and 1990s, immigrants made up more than half of those moving to the city, from 2010 to 2014 people moving from other parts of the United States and metropolitan region made up 58 percent of newcomers. For the first time in the past forty years, White people, and people making salaries above $50,000, are coming to the city in larger numbers than are leaving. In other words, the city is attracting, among others, Americans who have the economic privilege to live elsewhere—and who can outcompete disadvantaged city residents for jobs and housing. The region has become increasingly centralized. Between 2010 and 2015, New York City experienced the largest share of the region’s population growth, growing by almost 363,000 people or 61 percent of the region’s population gain. It took 83 percent of the region’s gain in “highly-educated prime workforce.” It also accounted for about 80 percent of the region’s private sector job growth from 2008 to 2016. Areas near the city, especially New Jersey, saw some significant population growth as well, while some upstate counties in the region saw losses of several thousand people and much more modest job growth. There are many factors beyond the city or region’s control that could affect future population and economic growth patterns. Some predict slower economic growth in the region as Baby Boomers age, shrinking the available workforce, and as automation eliminates jobs—both factors that could result in slower population growth. The region’s attractiveness could also be affected by how other regions of the country progress relative to ours. Yet planners at the Regional Plan Association and some other organizations in the region, as well as their counterparts in the Cuomo and even in the de Blasio administrations say that, to the extent they can control growth, they’d like to see more of it, but not concentrated in New York City alone—rather, spread to more small cities and towns throughout the region. In other words, while urbanization is considered to be a positive trend, they’d like to see it distributed more widely. Substantial investments and policy changes would be needed to achieve that vision, however—and not everyone agrees that growth is necessarily what the region needs to thrive. They believe redistributing resources would be a more sustainable way to achieve progress. The Regional Plan Association (RPA), an organization dedicated to improving the prosperity and sustainability of the New York-New Jersey-Connecticut metropolitan region, has been advocating for this kind of widespread urbanization. He says concentrating urban growth in a downtown, instead of the suburbs and rural areas, makes sense from a planning standpoint because both urban dwellers and suburban dwellers can get there easily. What’s more, companies today like the “synergy” of a downtown business hub, and dense growth is better from an environmental perspective. Other organizations outside the city that are dedicated to what they name “smart growth” echoed this point. “If you think of the transit system as the growth map, that would be a good way to think about where should we directing…decentralized growth,” says Peter Kasabach of New Jersey Future. This is still center-based growth, but decentralized from New York City. He points out that investments in infrastructure are more cost-effective—make a difference to more people—when they’re in cities rather than rural or suburban areas. In addition to economic growth in New Jersey’s smaller towns, he’d like to see more investments in the transportation infrastructure that connects New Jersey residents to New York City jobs. The organization Hudson Valley Patterns for Progress is actively seeking to encourage widespread urbanization through its Urban Action Agenda initiative. The initiative promotes “revitalization” in 25 urban centers in the Hudson Valley ranging in size from large cities like Yonkers to tiny hamlets like Nanuet. Many of these communities, like New York City itself, suffered disinvestment and population loss as a result of deindustrialization and suburbanization during the second half of the twentieth century. Some have recovered more than others, with 10 of the 25 centers seeing population growth of more than five percent between 2000 and 2015 (New York City grew by seven percent during that time). Jonathan Drapkin, the organization’s director, would like to see increased dialogue between the leaders of Hudson Valley and New York City. Hudson Valley towns along the MetroNorth might be able to do more to relieve the city’s housing crunch, he says, and the city might also be able to use its leverage to stimulate the Hudson Valley economy. Howard Zemsky of the state’s Empire State Development office says ESD and the Cuomo administration has launched several initiatives to encourage more widespread urban growth, including the Downtown Revitalization Initiative, which will provide $10 million each to 10 downtowns in areas throughout New York State to support economic development, transportation, housing and community projects. “We had too much disinvestment in the city and a lot of investment in the spreading, sprawling, suburban areas and we left ourselves with downtowns that haven’t received the kind of investment that would have positioned many of these upstate cities and regions to retain and attract young people,” says Zemsky, referring to Western New York. In that part of the state, sprawl has meant infrastructure costs borne by fewer and fewer people, and, for low-income people without access to a car, incredible difficulties accessing economic opportunities, he says. The question is not only where to grow, but how much to grow. In its 2016 report “Charting a New Course,” RPA calls for not only more decentralized urban growth, but more growth in general. The organization predicts that given current trends—as determined based on past growth patterns for each part of the region, as well as likely future conditions such as an aging population and increased automation—the region is expected to gain about 850,000 jobs and about 1,830,000 new residents. But RPA argues that with significant financial investments in infrastructure, zoning changes to allow increased housing growth, and other key strategies, the region has the potential to add double that—about 1,870,000 million new jobs and roughly 3,720,000 million new people. In this vision, the bulk of job growth would still be in New York City, but smaller cities would grow by 26 percent —as opposed to the expected growth of 2 percent under current trends—and much more growth would take place in urban areas instead of in sprawling suburbs. Such growth, especially if a good portion of it occurs in smaller cities along transit lines, “would create multiple job centers that could make the region more competitive, create economic opportunity in some of the most impoverished parts of the region, and improve the tax base of municipalities that both rely heavily on state assistance and have some of the highest property tax rates in the region,” the RPA argues. The report says the RPA will proffer specific proposals to achieve this vision in the organization’s forthcoming Fourth Regional Plan. Grossman Meagher says Obama’s Sustainable Communities grant program, which provided grants to regions to promote transit-oriented development, was the first step toward a more coordinated relationship between New York City and its neighbors, but that this coordination threatened to expire along with the federal grant, which was not reauthorized by Congress. The De Blasio administration is especially interested in seeing housing growth outside of city borders as well as transit investments to connect non-urban residents to city jobs. City Planning believes expanding the amount of housing options for New York City workers beyond its own borders is the only way the city can literally grow its economy, and the only way it can keep a lid on housing prices. “Constraints on growth affect our ability to achieve the vision that the city has in OneNYC—the vision of a thriving, prosperous, equitable, affordable, welcoming city that has really been part of our DNA,” says Grossman Meagher. OneNYC is the updated longterm plan for the city that was released by the de Blasio administration in 2015. The New York Metropolitan Transportation Council’s population forecasts for 2040, which are used by government agencies for transportation planning, predicts that from 2010 to 2040 the region has the potential to grow by 2,880,000 residents, with only 27 percent of that growth taking place in New York City. While the model is more conservative than RPA’s vision, predicting less future population growth, the de Blasio administration believes it would take a substantial increase in housing production and infrastructure investments in other parts of the region to reach this level of growth. A more complicated issue is to what degree it is New York City’s responsibility to support economic development in other cities. Jonathan Bowles of the Center for Urban Future, an organization dedicated to New York City’s economic wellbeing, says that while he believes it’s important that other areas outside the city grow their housing stock and their economies, he doesn’t think it’s New York City’s job to encourage economic growth in other cities, given that many areas of the Big Apple itself still struggle with high unemployment rates. “It wasn’t long ago when New York City was hemorrhaging jobs to the suburbs,” he points out. Grossman Meagher says the de Blasio administration hopes to support economic growth both in the city and outside of it. On the one hand, she says that it’s inevitable that cities will continue competing with each other for jobs, but on the other hand, “It’s not sustainable for all of the job growth to be within the city and for other places to not be also growing their economies. We think that there’s an amplification effect by all of us figuring out how to grow our economies in synergy with each other.” For instance, many parts of the region are investing in the Life Sciences industry, which might present an opportunity for fruitful interdependencies. And while the De Blasio administration wants Amazon to site its second headquarters in New York City, Deputy Mayor Alicia Glen has acknowledged that Newark could be a good second choice, since it would still provide New Yorkers with jobs, Grossman Meagher says. Furthermore, while it’s good to have housing on both sides of the Hudson River, it’s also a major infrastructure challenge to have everyone in New Jersey come to New York City for work. “As we consider the next generational round of mega-investments in trans-Hudson transportation infrastructure, we need to think holistically about how transit oriented growth centers on both sides of the river can help us get the most out of our infrastructure investments,” she says. There are major obstacles to this vision of decentralized urbanization. In particular, as explored in a recent RPA report, zoning laws are an impediment to increased housing development in many affluent communities in the region. The report looked at the parking lots near 349 commuter-rail stations and found they could hold apartments for over 660,000 people, but 25 percent of the areas surveyed had zoning regulations prohibiting multi-family housing. While zoning laws are a matter controlled by local governments, RPA believes New York State could do more on this front, such as following the lead of Connecticut and New Jersey, which already require that municipalities provide affordable housing, and which allows local zoning requirements to be overridden if development would provide affordable apartments. Mayors of small cities would like to see even more state investments in transit-oriented development. 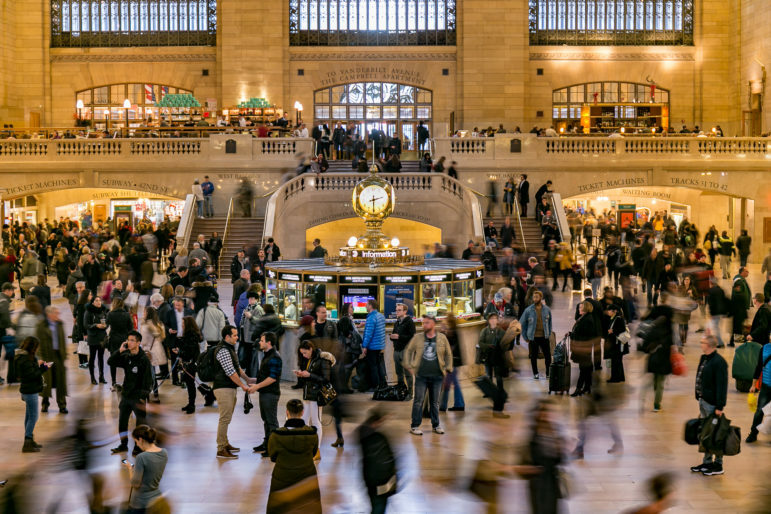 On November 14, over a dozen mayors from small cities and villages in New York, New Jersey and Connecticut penned a letter calling on leaders to provide more resources to address zoning issues, improve public transportation and support transit-oriented development. Garnering investment for large transportation initiatives that cross state borders is another major challenge. Efforts to improve the New Jersey Transit connections to Manhattan have repeatedly stalled, with Governor Christie cancelling the Access to the Region’s Core tunnel in 2010, and Governor Cuomo accused of writing off his responsibility for the effort. The two states have finally reached an agreement that they will together assume half the cost of the project, and hope the federal government will shoulder the rest. Though President Trump has shown interest in the project, it’s yet unclear whether he will support it—and, given right-wing resistance to the Obama administration’s planning initiatives, it’s also unclear whether the Trump administration will support transit-oriented development in general. Meagher says one way that her division is trying to support the rest of the region is by advocating for a fair count in the 2020 census—the Census Bureau is underfunded and would be further undermined by the Trump administration’s 2018 budget—and helping municipalities in the region prepare for that census through training sessions. The effort is meant to ensure that each area is not undercounted, ensuring an adequate number of Congressional seats and funding for services and infrastructure. Is growth even the answer? As cities throughout the country, large and small, compete for Amazon’s second headquarters, there’s also been pushback from advocates who say attracting those jobs isn’t by itself going to build a more equitable city—and could, in fact, be a trigger for displacement. On October 17, 73 organizations across the country, including groups like Make the Road New York and the Pratt Center for Community Development, sent a letter to Amazon asking that when the second headquarters is built, jobs in construction go to local residents and particularly women and people of color, that the company support apprenticeships and pathways to careers in construction, that building service work are paid livable wages and receive good benefits and that Amazon invest in unemployed residents and youth to prepare them for the highly-skilled office jobs in the campus, among other demands. Their underlying message is that it will take more than growth to bring about social equality. That’s something RPA recognizes in its 2016 report, which argues that while growth will come with considerable benefits, the goals of shared economic progress, lowered costs of living and healthier communities “will also require actions to improve education, workforce, health, fiscal, governance and other conditions,” as well as actions to foster the right mix of jobs that are accessible to a variety of workers. But there are some who question whether growth is even necessarily to help address social inequality. Such thinkers say that rather than discussing how much growth and where it should grow, we should be asking how we will redistribute society’s existing wealth. “Why aren’t we focusing on how public policy can improve the quality of life for all people, especially those in greatest need, instead of always rushing to promote growth? And if growth were going to solve problems of inequality and quality of life, why hasn’t it done so?” wrote Tom Angotti, professor emeritus at Hunter College, in an e-mail to City Limits. He argues that pro-growth thinking is rooted in Ronald Reagan’s trickle-down economics but has since become accepted and unquestioned ideology by both political parties as well as the contemporary RPA. “From a social justice standpoint…what difference does it make to have a centralized or decentralized system if it’s based on economic and racial inequality?” he continued. It’s worth considering that urban growth—even a decentralized version—comes with risks. As the RPA writes in “Pushed Out: Housing Displacement in an Unaffordable Region,” within the region from 2000 to 2015, the number of households making below $25,000 has declined by 10,000 households in transit-accessible, walkable neighborhoods but grown by nearly 50,000 households in less accessible neighborhoods. While most of the neighborhoods RPA categorizes as facing a displacement risk are in New York City, other transit-oriented communities of the region are also vulnerable. The share of residents considered “rent-burdened”—spending more than 30 percent of their income on housing costs—is highest in New York City at 49 percent, but other areas of the region are not so far behind: 45 percent of Long Island residents, 44 percent of Hudson Valley residents, 44 percent of Northern New Jersey residents and 42 percent of Southwestern Connecticut residents are also rent-burdened. 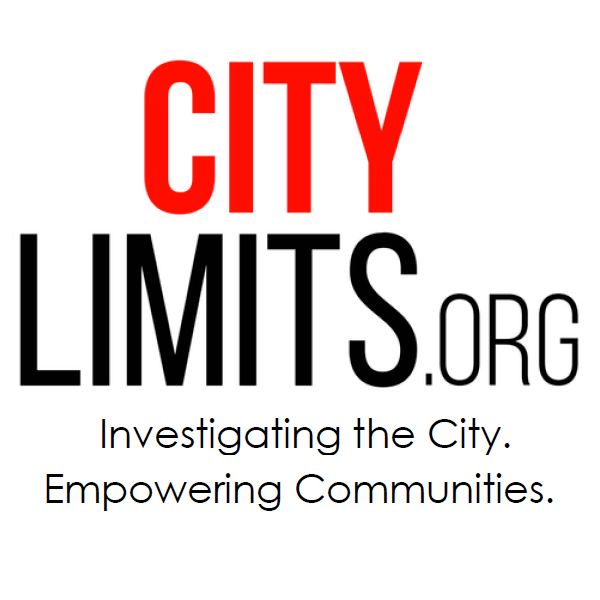 Given how the history of redlining has excluded Black and Latino residents from suburban areas throughout the Northeast, if you’re Black or Latino, you’re more likely to live in a census tract that the RPA deems “at risk” for displacement (based on an assessment that takes into account residents’ economic vulnerability, neighborhood accessibility, and the changing market). Black and Latino residents who live in a part of the metropolitan region outside New York City are even more likely to live in such at-risk areas. And it’s worth noting that in recent years, many of the urban communities participating in the Hudson Valley Pattern for Progress’s Urban Action Agenda saw an increase in the share of people renting, as well as an increase in poverty rates—suggesting a growing number of residents in such communities who would be vulnerable, in the event of gentrification, to a heated rental market. The RPA report says this research “highlight[s] an imperative: As municipalities across the region succeed in attracting growth and development over the coming decades, they must take strong actions to promote economically and socially vulnerable residents.” RPA believes a 50 percent increase in housing production in the region will help keep a lid on housing prices, but the organization also calls for anti-displacement measures and more funding to help low-income households afford homes. Organizations who promote “smart-growth” outside the city emphasize that growing their smaller cities without triggering displacement will take early planning, including the more widespread implementation of policies like inclusionary zoning (requiring a portion of housing to be below-market rate). In other words, whatever growth goals we’re aiming for, we’ll need to think more about the redistributive methods that will be in place to ensure economic gains are spread widely and residents aren’t displaced. And so long as we’re thinking about redistribution, it’s worth asking what kind of support rural and suburban residents of the region will require in the future. Granted, the state is already investing more per capita upstate than in downstate, and decentralized urbanization may have an uplifting effect for some of the rural areas farther from New York City, but the fact is that suburban poverty is increasing in the region and rural poverty rates have surpassed urban poverty rates in New York State as of 2016. If urbanization is the goal, that may require dialogue with not only our neighboring mayors, but our rural counterparts as well. I think as millennials get married and have children they will buy homes in the suburbs as has every generation before them. Do think they want their kids playing out on the sidewalk and attending NYC’s mostly bad public schools? Why pay rent to some awful NYC landlord when for pretty much the same amount of money you can own your own home in some nice quiet town, and get those tax deductions too. Driving from your home to your suburban job beats riding the packed subway. “I think as millennials get married and have children they will buy homes in the suburbs as have the two previous generations. ” There, fixed it. The NYPD has bulked up the unit that investigates serious collisions. But as hit-and-run incidents have increased in number, arrests have barely kept pace. Read our print and video investigation. The chief strategist behind the eight-year effort to get congestion pricing back on the table, Alex Mathiessen, joins City Limits and Gotham Gazette to discuss how we got here, what comes next and what risks lie along the way. New Regional Plan Asks: Should We Shut Down the Subway at Night? Cutting off subway service during the hours when there are few riders—and when lots of repair work could be done—is one of the smaller ideas in the Regional Plan Association’s sweeping fourth regional plan.